Contemporary dance has quickly risen as one for the strongest dance forms around thanks to it's freedom that allows dancers to express themselves. Contemporary dance draws on both classical ballet for it's strong and controlled leg work and and modern dance for it's improvisation. 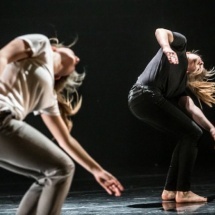 Through these characteristics contemporary dance has the ability to draw you into a story from start to end, giving dancers the change to improvise but to also act out the story within the dance. Unlike ballet, contemporary is less structured giving dancers the opportunity o make full use of the floor whilst still in control of their body to freely express their feelings.